Independent traders on Shrewsbury’s Wyle Cop will come together to support Small Business Saturday on 2nd December and celebrate their value to a thriving town centre. Christmas shopping traditionally steps up a gear on the first Saturday in December and this nationwide campaign uses it to focus on and promote the importance of small businesses. Wyle Cop’s array of independents will back the campaign by offering the chance to win a £200 voucher. Shoppers can pick up a card and collect five stamps from participating shops on Wyle Cop with only one purchase required and no minimum spend. They will be entered into a prize draw for the chance to win the £200 voucher to spend by Christmas Eve. Trish Donovan, owner of Vinterior and a board member of Shrewsbury Business Improvement District (BID), said: “Small Business Saturday is a great opportunity to promote and celebrate how much small businesses add to a town’s appeal. We are proud of our range of independent shops that offer something different and great customer service. 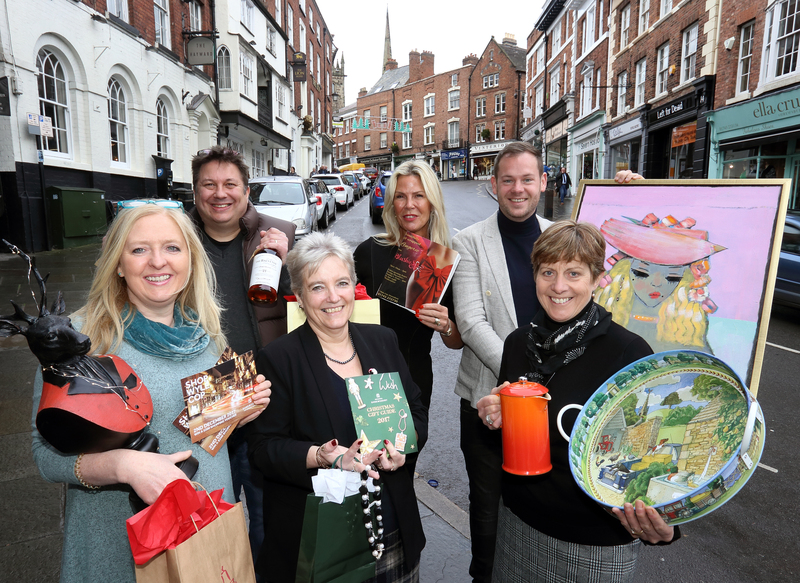 Shrewsbury BID is encouraging people to shop local and support independent traders on 2nd December. It is also organising activities to support businesses and traders of all sizes throughout the key Christmas retail period to draw people to the town and add to the festive buzz.